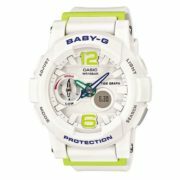 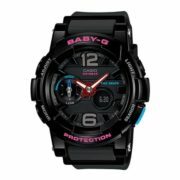 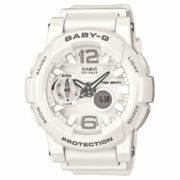 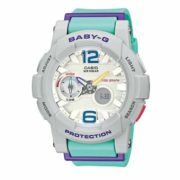 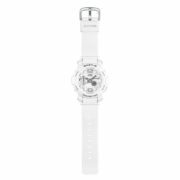 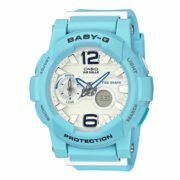 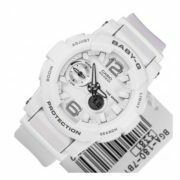 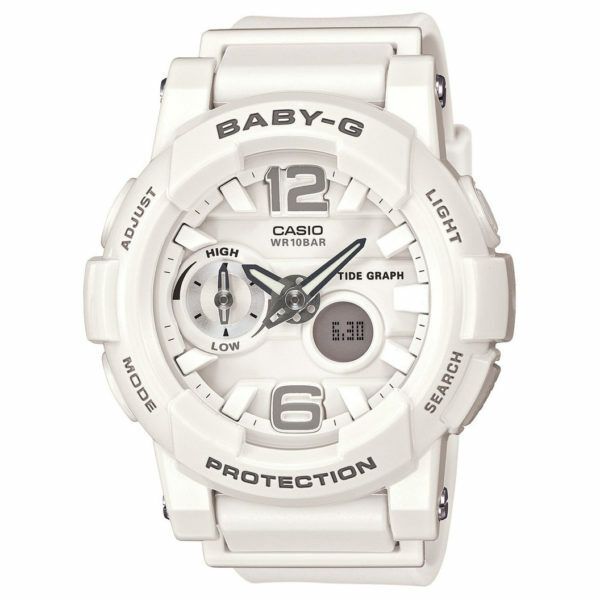 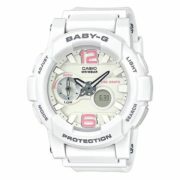 This new model is the first analog timepiece in the Baby-G lineup to include a tide graph feature. 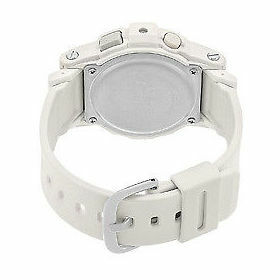 In timekeeping mode, the small hand of the dial at 9 o’clock normally indicates current tide information. 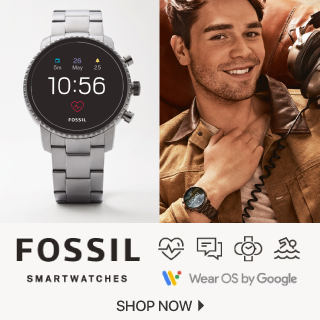 Each press of the “search” button advances the tide information by the dial hand by one hour. 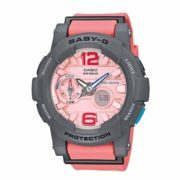 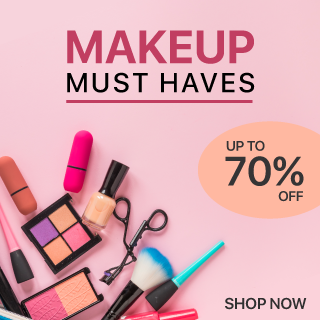 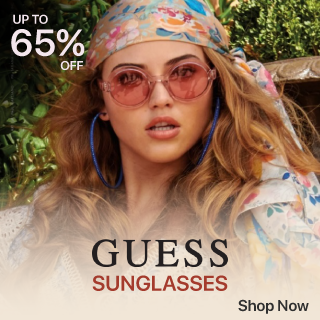 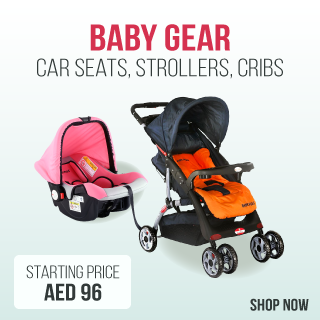 A great design and powerful features support surfing activities and much more, making this model the perfect choice for today’s active woman.